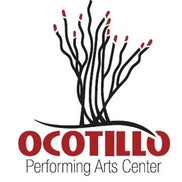 The Ocotillo Performing Arts Center’s new season may be three months away, but the Artesia Arts Council will be giving residents young and old plenty of opportunities for fun in the interim. The council’s summer events will kick off Thursday with a free Family Fun Day in Heritage Walkway. The AAC is cutting back on its summer movie offerings this year but has selected some popular favorites, with “Footloose” set for June 21, “Alice in Wonderland” (2010) for June 28, “Dirty Dancing” for July 12, and “The Princess Bride” for July 19. All outdoor movies begin at 8 p.m.; attendees should bring a chair and a drink, and popcorn will be provided. Also set for June and July will be the council’s drop-in Summer Arts Workshops for ages 5 and up. The workshops will run from 11 a.m. – noon and are $10 per student. June 19 will feature rock painting, June 26 friendship bracelets, July 10 solar art, and July 17 a project yet to be determined. Youngsters ages 5 and up with a taste for the stage will have two opportunities to participate in theatre camps over the summer. The OPAC’s Seventh Annual Rising Stars Summer Musical Camp is coming up June 4-15. The camp will run from 1:30-4:30 p.m. each day during those two weeks and will culminate in two performances – at 2 and 6 p.m. June 16 – of “Splash!”, a musical comedy that tells the story of Noah’s Ark from the perspective of the animals. Cost is $65 per child and includes a t-shirt, two meals, and one program Love Note. The production will be directed by OPAC Education Director Lauren Austin, with musical direction and choreography by off-Broadway performer Olin Davidson of New York City. Cost for that one-week camp is also $65 per child and includes the same extras. Rehearsal schedules are available at the OPAC, and performances are set for 2 and 6 p.m. Aug. 11. Those wishing to spend the summer honing their musical abilities may sign up now for the council’s summer music lessons. Classes are available at costs ranging from $75-$88 in piano, violin, guitar, drums and voice, with all sessions running June 22 – July 13. “We have a lot of great outreach for kids this summer, and we’re really happy to provide that for the community and through working with the schools,” said AAC Executive Director Laurie Schotz. In July, the AAC will once again join other downtown merchants in celebrating the National Day of the Cowboy. As its major contribution, the OPAC will be presenting “Patsy & Friends,” a tribute to Patsy Cline featuring other entertainers, as well, including Artesia’s own Tayler Gothard. The show will be held at 3 p.m. at the performing arts center, with tickets set at $25. For $20 more, however, holders can also enjoy a closed reception with wine and light refreshments at ZbarX Two Sisters Studio and Gallery, followed by dinner with the entertainers at the 510 Building. As spring comes to a close, the AAC is also conducting its annual membership drive. Memberships are available at varying levels, and Golden Tickets and “Six Packs” are also currently on sale. Six Packs allow the holder to select six shows of their choosing over the course of the season, while Golden Tickets admit holders to all 2018-19 offerings. The cost of both has gone up $50 this year in response to higher-priced acts. The Golden Ticket is $500 with a $50 membership but comes with a savings to the holder of $160. Golden Ticket holders will have until June 18 to purchase their same seats; after that date, all seats will be released for sales. June 18 will also mark the first day of sales for tickets to individual shows. Show sponsorships and advertising slots in the season’s program are also currently available. In addition to gearing up for their summer offerings, the crew at the OPAC is also preparing for its 2018-19 season: the arts center’s 10th. The OPAC opened its doors Nov. 20, 2008, and to celebrate the anniversary, Schotz says the council has prepared a lineup that includes some of the “best of” the last decade of shows – plus a few new surprises. “We have everything this season from the Glenn Miller Orchestra to Artrageous, which is like performance art meets musical theatre,” said Schotz. “They have a canvas onstage, and as they’re singing and dancing, they fling paint onto it like Blue Man Group. Afterward, the art ends up being ours. For more information or to register for any of the events mentioned above, call the OPAC box office at 746-4212.